As a rule, when you see a sharp change in a long-running time-series, you should always check to see if some aspect of the data-generating process changed—such as the measurement device or the criteria for inclusion in the dataset—before coming up with any substantive stories about what happened and why. This is especially the case for something susceptible to change over time, but not to extremely rapid fluctuations. A sudden fifteen-pound-per-person-per-year uptick just seems unlikely. And while such shifts are not impossible, of course, you also have to tap the instruments, so to speak, to make sure everything’s OK. 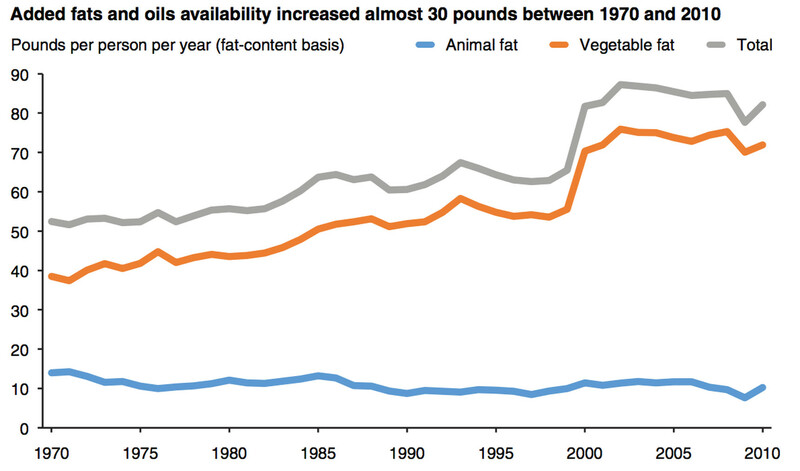 In 2000, the number of firms reporting vegetable oil production increased, leading to the spike in the graph. Your theory of the avocado-based transformation of the American diet is invalid. As Tom Smith, the director of the General Social Survey, likes to say, if you want to measure change, you can’t change the measure. 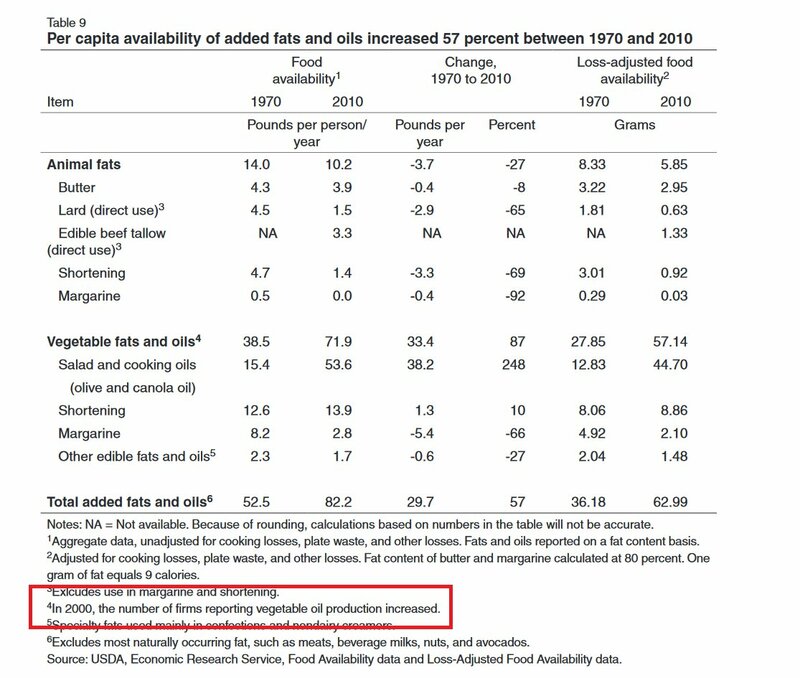 Relatedly, as the graph itself makes clear—but the original article finesses a bit—the availability of fats (as measured through food production) is rather different from the consumption of fats in people’s actual diets. The two are clearly closely related, but they’re not the same. In any case, a central part of looking at your data means using it as an opportunity to understand where the measures you’re using come from and what they mean just in methodological terms.